What would you do if you could travel through time? Would you change the past or take a daring trip into the future? 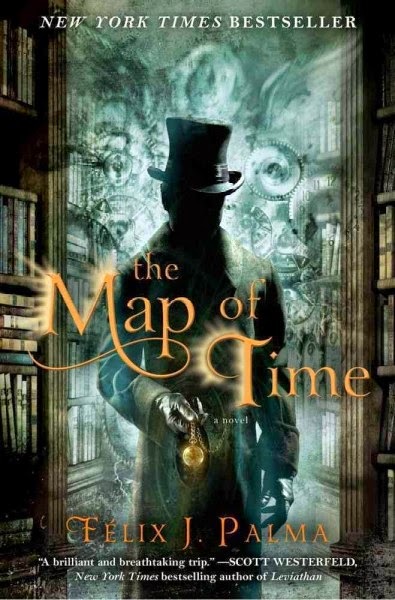 The first book of the Trilogía Victoriana (Victorian Trilogy), The Map of Time is a time twisting, fantastic journey of the life of the famous author H.G. Wells and how his novel the “Time Machine” influenced not only just the people of London but the world. The narrator, a time traveler perhaps or an all knowing being, guides the reader into three different stories that are all interwoven with each other. The snippets of Well’s life gives the reader a different dimension of the writer and the why he wrote the Time Machine. Also, it shows how Wells has gotten himself to be involved in all these lives, even if it was against his will for some of those moments. This book has a little bit of something for everyone to enjoy including an alternate universe, a large dose of steam punk, some historical elements, and much more. Going between major events from Jack the Ripper, to helping to heal a suffering individual, bringing couples together, this book has some very complex but intriguing story lines. Félix Palma’s way of interweaving many elements and stories made this book not only an interesting find but a very enjoyable read. The twist at the end of the story was quite unexpected. This was truly a book that grabbed my attention from beginning to end. I cannot wait to read what the other two books may bring. 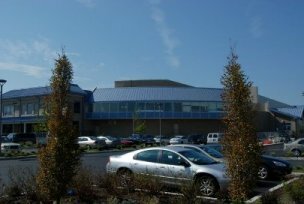 The Map of Time by Félix J. Palma is available at the Ocean City Free Public Library.